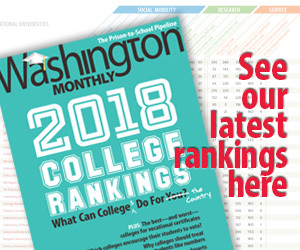 Washington Monthly | Can Better Transportation Increase Diversity on College Campuses? 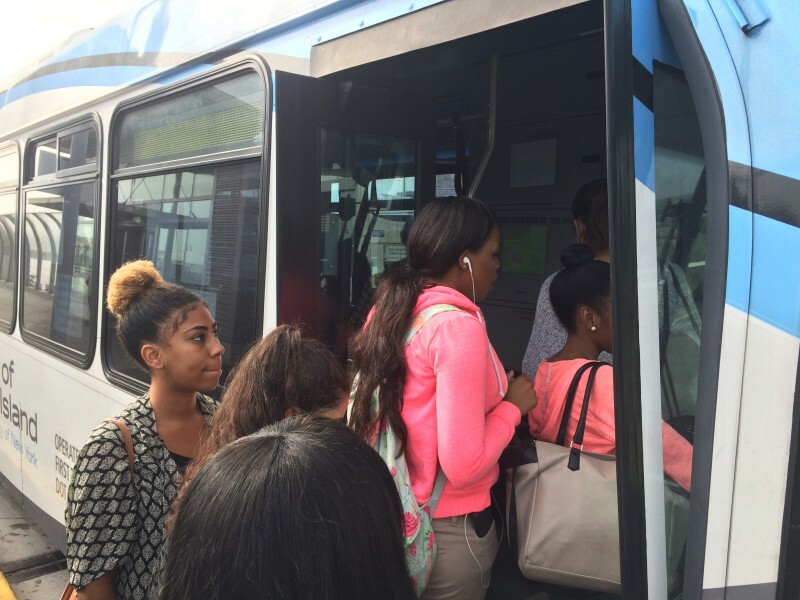 Can Better Transportation Increase Diversity on College Campuses? STATEN ISLAND, N.Y. — Patricia Howard wanted to go to college, but she was in a bind. She worried she’d get off track if she stayed in her densely packed New York City neighborhood, in Queens, but her mom needed her, and out-of-town options were too expensive, even with financial aid. She had heard of the College of Staten Island, which seemed impossibly far away, across two boroughs and the New York harbor. Then she found out about a free shuttle bus that would significantly ease her commute. One look at the course catalog and then the expansive lawns on a campus dotted with trees and low-lying brick buildings and she was sold. The national conversation about helping more low-income students of color like Howard go to college has produced a complex set of potential solutions, but on Staten Island, a simple blue bus seems to have opened doors that administrators had been struggling to unlock for years. Overall enrollment at the college has increased by only 15 percent since the shuttle was started, but the numbers of black and Latino students have increased by 49 and 43 percent respectively. The experience may provide lessons for colleges seeking to attract a more diverse group of students. It’s not just an issue in poorer neighborhoods in cities, where black and Latino youth are overrepresented, but also, she said, in rural and suburban areas where public transportation is more scarce. Administrators at the College of Staten Island, or CSI, which is part of the City University of New York, say that even though other initiatives may have contributed to the school’s increased diversity, such as more outreach programs and the addition of dorms two years ago, the shuttle bus has been key. An early ridership study showed that about half the students were coming from other parts of New York City. The college, which is now 12 percent Asian, 14 percent black and 17 percent Latino, is more diverse than Staten Island itself. The CSI staff also stress that the shuttle bus has broadened access for residents of Staten Island as well. Shuttle bus ridership rose to 360,000 passengers last year, a 60 percent increase from when it began. The shuttle now reliably runs every 20 minutes from the ferry terminal during peak hours and the ride takes 25 minutes — about half the time that a city bus takes. And city buses’ departure times can be unreliable. Word of the CSI shuttle’s success has spread. Last fall Queens College (which has similar problems with city bus reliability) added a shuttle bus to run between the two main public transit hubs and the college. At Connecticut’s Asnuntuck Community College, a free shuttle bus now picks up students from Hartford — mostly young people who weren’t able to pursue college right after high school — takes them to the college, about 25 minutes away, and buses them back at the end of the day. One of the main barriers to providing such efficient, low-cost transportation is, of course, the price tag. “Colleges will ask themselves, do I spend dollars on increasing the quality of my staff and programs, or on transit vouchers and better transportation,” said Erin Russ, a policy assistant with EducationCounsel. The CSI shuttle began as a pilot program in 2008, using federal grant money that dried up after two years. But the shuttle was so popular that the college continued to fund most of it from its general budget. Last year, however, Albany budget cuts for CUNY meant the college effectively lost $2.7 million, according to Ira Persky, CSI’s vice president for finance and administration. Students agreed to a $40 per-semester fee (which can be covered by financial aid) to help keep the shuttle and other internal bus services running. The shuttle bus alone costs about $800,000 per year, according to Persky. Still, many students say it’s worth it. 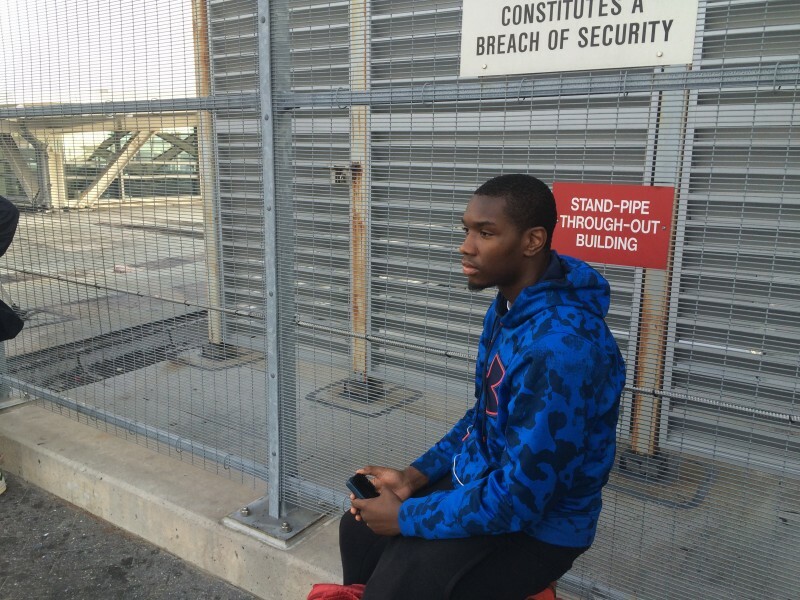 Dajour Armstrong gets up at 5 a.m. to get to class on time from his home in the Throgs Neck section of the Bronx. He has already ridden a bus, two subway trains and the ferry by the time he takes a seat on the shuttle bus. After such an odyssey, the prospect of being late to class because of an erratic city bus was disheartening.